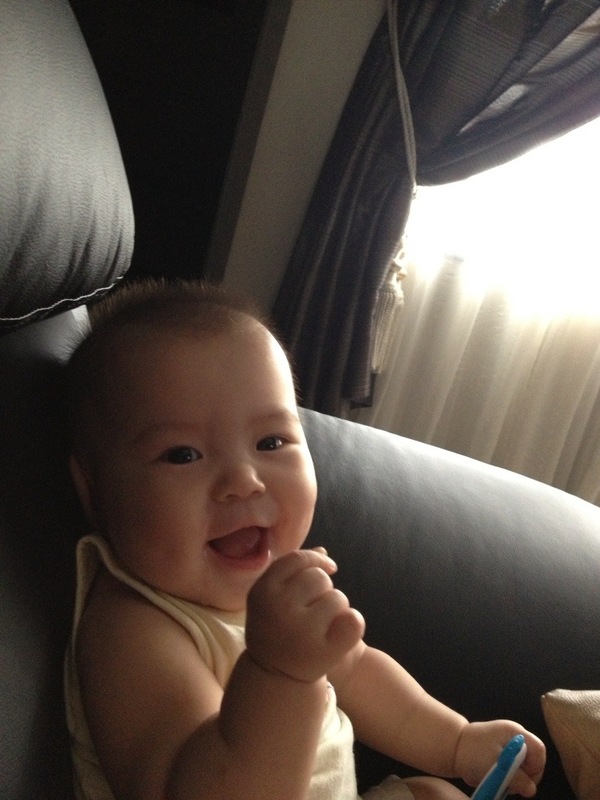 Miu ~ 关於我的心情点滴 ~ | I, Me & MySelf..
Today, my bb is going to be 7 months old. Remember my last post, I pray to God that to have some one good and reliable to take care of Abigail. He blessed me Maria, a domestic helper from Philippine. I thank God that Maria come in a week before confinement lady left. Although she didn’t do as good as confinement lady, but for me, it is good enough. For the past 6 moths, she did a great job of taking care of Abigail. For those mummies who try hard for bf, keep trying and believe that you have a bundle of milk. Well done and good job to all bf mummies!! Cheers!! She grow well and healthy for the past 10 days. I was so blessed to have a very reliable and responsible confinement lady who really take care and love our bb. Can’t imaging after she left, how my life will be. Pray that i could handle my bb well and manage to balance my working and family. My challenge journey got to start by next month, hence there will be another challenge when i resume to work. God, please give me strength, energy, patience and wisdom to handle any issues of taking care of our little one. I also pray that I could able get someone who is kind with a heart of love to baby sit my little one after resume work. Thank you God. Such a long time after my last post here. Time flies when i posted here regarding my pregnancy. It’s time to waiting for our precious princess arriving. God is good and awesome. He kept His promise by giving us a healthy, joyful and full term bb. That’s why till now our Little One (Lo) still staying comfortable inside 🙂 I’m thankful with God’s blessing and protection and most important is His guidance. 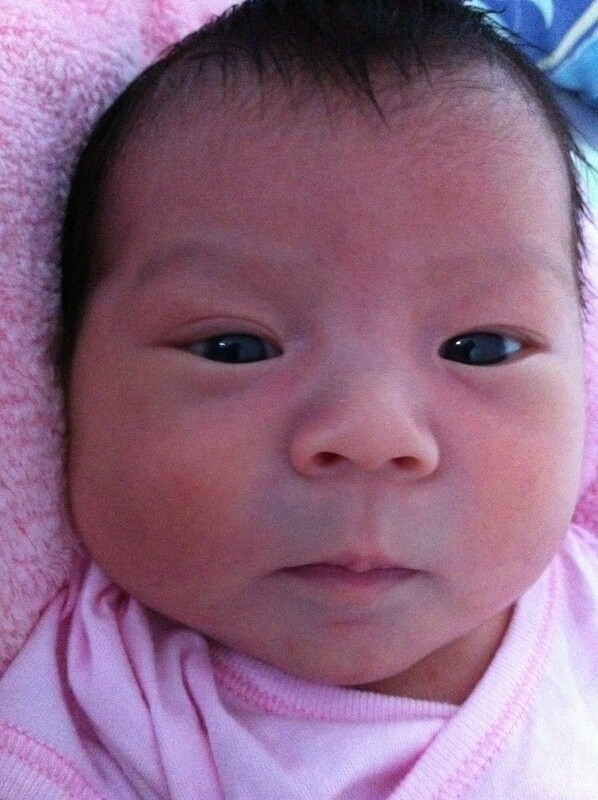 Few days ago, I’m stress as hubby want to opt for inducing to get bb out earlier. In my mind i was thinking, should I or should I not? Seeing many negative comments in FB and suddenly C section appear in my mind. I’m not afraid of pain as God never give us pain but love. But I’m worry the stress during labor and it may affect the heart beat of bb. I don’t think i want to take the risk on this as I can’t. Such a long time did not attend church service. Since i can’t continue sleep after wake up at 7am, so i decided to go church by myself. Today Pr Chew sharing a very good sermon where it really touch me so much. After became Christian, my life is so joyful and peaceful. I thanks God for a wonderful husband and family, stable job, more friends (sisters and brothers) surrounding us wherever we need help. But this is not all. Last year was a very challenge year for me and hubby. We learn to support each other, be faithful and trust Him. Because of our faith, we went thru the most challenge in 3rd years of married. From there, i started to tell myself that God has a purpose behind it, and I believe Him. and last: JUST TRUST GOD! When we understand and trust on God, everything will be solve by itself. He always listen to our prayers and He know the best for His childrens. Do not worry, let it be and let Him in-charge. Praise God..
One of my sister from cell share the below in FB. It really touch my heart and so i shared my personal testimonial here. Now i would like to share this with all of you. Be strong and keep your faith!! I am writing this in honor of my unborn nephew whom God took home yesterday and i write this also for those of us who have felt the pain of losing our babies and for those who are still trying. 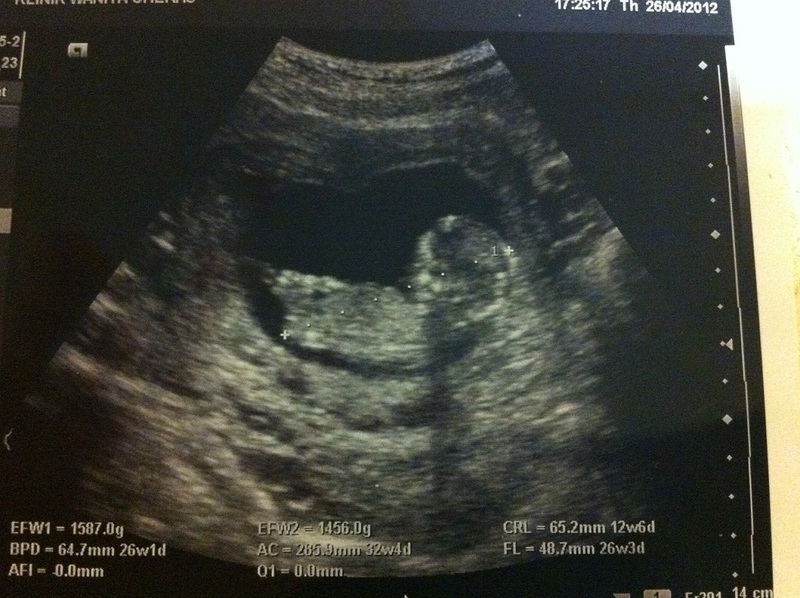 about 8 months ago, when my pregnancy test showed that it was positive, i was overjoyed. i felt like calling everyone i knew and tell them that im already a mother (always dramatic and always over the top). Try giving me the same result 15 years ago, the last person i would want to call would be my parents. it was an overwhelming experience. having to go through all the morning sickness, the happiness and joy of knowing youre about to carry another mini-you inside, the different cravings, the 5 minute disorder (i want a slurpee but when i have a slurpee i want a coke and when the coke is there i want an ice lemon tea) and ofcourse being pampered and spoilt by everyone. it was just a wonderful wonderful feeling. it changed me a lot. especially my thinking process, my feelings towards others and most of all my emotions. It was a bit of a yo-yo but it definitely became softer, i became more sensitive that i can even watch a cartoon and cry. every little thing that hapened around me moved me emotionally. one funny thing though..in that period of time, i loved men. Not that i never loved men, but this was very weird, short,tall,thin,fat and even mr.postman caused me to put on some mascara and blusher. The day I was told that the baby did not grow was the hardest day of my life (apart from that night in 2001 when i had so much at a party and i couldnt drive home. i thought that was the hardest day..apparently it wasn’t..compared to the day i was told i have to remove whats inside of me ) i didnt cry when i was told by the doctor. I held back the tears. Only when we got in the car did i let my tears out. our drive home was silent except for my sniffling once every few minutes. for one split of a second, i asked God why? and then i took it back. who am i to ask Him why? who am i? That moment when i asked why was a moment where i forgot that He actually has a plan and a purpose. A wonderful wonderful plan for me. He was preparing me for a lot of things. Looking back at what has hapened to me from the time i had that miscarriage up till now, I am glad that God did what was best for me. Ofcourse it wasnt as easy as i wish it would have been. There were nights when i cried myself to sleep and even now,i still remember that ‘worried’ look on the doctor’s face and my husband’s face when they looked at the monitor to check the heartbeat only to find nothing.Every time i recall their facial expression, my heart skips a beat and even as i write this ,my heartwent silent for a second..okay,now its beating normally again..i can continue typing.. I still believe that God has something bigger in store for me..Hopefully not getting me too big but maybe a set of twins would be nice.or triplets..or…okay,i better stop before God grants me quadruplets. My trust is in Him and i know i have failed Him many times with words of anger and words of frustration but i know for all of us who went through this, He loves us just equally (or more :))))) than He loves a woman with 18 babies or a woman who does nothing but produce a baby each year. If there was anyone who could understand how it feels to lose a child, it would be God. To sacrifice His one and only son for us that we will have eternal life. To watch His son being spat on, tortured and tormented and go through the whole ordeal on the cross for our salvation. If that is too spiritual, then think of how Mary must have felt. A virgin who knew that her Son would be taken one day…oh gee, that sounds even more spiritual. The bottom line is, everything happens for Him to allow for His good works to hapen. He loves all of us equally and He wants only the best production for us. He knew better to what would happen if He allowed for each of us to complete the pregnancy we lost. He knew better and that was why he changed the course of our pregnancy and He WILL bless our wombs. I trust Him more than anything and I know this journey which we all went through has made us look at life in a different light. Till then, the peace and love of God be upon each of you who are waiting for His wonderful works in our womb and to those who have been blessed by Him, i pray that His love, joy ,peace and wisdom be upon the child you are bearing and the children you have bore. To those who just losot theirs, God’s comfort and loving arms be upon you and your loved ones in times of grief. God Bless and lots of love. p/s: i heard that having a miscarriage is worse than giving birth. so at least thats one thing i have prepared myself for and dont bother asking me about the pain. the contrction was every 3 minutes. if there was a sledgehammer…only you and i would know what i would have done with that hammer..
Last year, when we both came to knew that we need to take out the little one, we were very down and disappointed. I kept asking God why, why, why? But i never think that it could be me at the first place asked Him a silly question that: God, am i ready for our baby? We both attended X’mas morning service in SIBKL. I still remember the very surprise statement from Pr Paul. Before the alter call, he point somewhere near us and said: “I could feel a couple here who recently had miscarriage. Don’t worry and sad, God will send the lil one soon. ” Then we went out and asked for prayer from Pr Andy and also my kidzone’s buddies. Although my tears kept came out from my eyes and i couldn’t stop at all. But i felt a kind of peace and strength in my heart to tell me that i need to face the truth. Told myself that this is a challenge from God, as He answered my question! Although i did not go through the full pregnancy but within these 8 weeks pregnancy, i experience mother’s love and the scarifies. It’s same like God. He sent His only son to us. Jesus scarified himself and die on the cross. Because of Him, we could have a relationship with God and most important, eternal life!! Now, finally, we can official announced that i’m 3 mths pregnant! and guess what, my due date is on my birth day. So conincidence right? It’s all God’s plan. Keep your faith with Him and He will give the best to you! Let go and let GOD! Let Him be the driver and GPS to the destination. Last but not least, i know there are many sisters out there are trying hard (we also tried for 3 yrs plus). Don’t give up! Keep your faith with Him! Only He can make miracle happen! Only Him can make impossible to become possible!! I will keep pray for all of you and am sure you will get yours soon. God Bless. This is a very different X’mas season for both of us. I came to know a great news 4 weeks ago. It’s such a wonderful and joyful moment we had. Thanks God for giving us to celebrate this important day on X’mas. Although the end result is so cruel, but we both accepted the truth. Two more days, You will be going to heaven to stay with our Father. No matter how, we both will continue to pray for you. May you rest in peace with all the angels in Heaven. We are really sorry about it and please forgive me as I didn’t be a good and responsible mother to take care of you. RIP, our beloved BB..
thammelissa on His Glory appear AGAIN!! miumiu138 on His Glory appear AGAIN! !